My Outside Voice: Updates and Ramblings. . . Updates and Ramblings. . . I know that I have not been on top of my "A" game this week, it has been one of those weeks, and I also know that it is not over, but it just about is, for me anyway, today is my Friday. Monday we were even really busy, at least for us anyway. The bar that holds a good portion of my wardrobe had fallen in my BIG closet, so I had a closet full of clothes on the floor and I was one very unhappy camper. It was a HUGE mess and I just had this tightening in my chest every time I even thought about it. Even though sure, I could close the door and just forget it was there, just knowing what was behind the door made it difficult for me to even sleep in the same room. SO, the boy got to work on that while I made dinner. Nothing too terribly exciting, we had both been craving BLT's, I guess it is that time of the year, my dad has been eating them like they are going out of style. We had a wicked storm whip through here that evening. 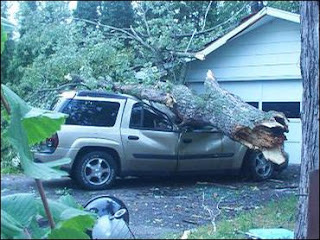 Luckily no one I knew had any serious damage, but wow what a storm. It did wake me up, and it felt like my whole house was shaking. 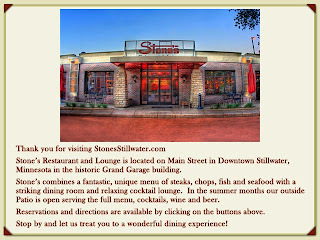 We had dinner Tuesday night with the lovely couple S & J from wine club in Stillwater. We had dinner at this fabulous place called Stones. They are regulars there, and have a waiter that they love so our service was wonderful. I had the walleye marsala and I have to say it was one of the best meals that I have had since being back in MN. Everything was wonderful though. They have a great outdoor patio, it was a beautiful evening and the company was great. I am looking forward to going back to Stones soon! I spoke with the lovely J about joining Junior League. It is something that I had been wanting to do for a while, but I really wanted someone to join with. Well, I must have put it out there at just the right time because not only did the lovely J send in here membership form, but so did the sisters S & J from wine club. I had just put this out to the two of them as well, the deadline was yesterday so I knew that we would have to hustle to get everything in. 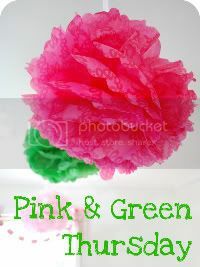 I don't know the sisters S & J very well, but they both live fairly close to me and I would like to get to know them better so I thought this would be a good way for all of us to form a tighter bond. I really have not made the kind of girlfriends here in MN that I have out East and I really miss those friendships and camaraderie that I had with them there. I keep hoping and wishing that I will meet women here that I enjoy as much, but I just haven't. There always seems to be something. Miss Lisagh over at the Garage also gave me some wonderful advice and shared her JL experience with me which meant a ton. She is so incredibly generous and thoughtful, I hope that I get as much out of this experience as she did, but I think with advice like hers, with the three women I am joining with and the fact that I have been wanting to do this for a while, I think I am heading down the right path. The Minneapolis chapter has 800 women in it, so it is a big group too. Wednesday was just one of those days at work, tons to do never enough time, but that is how this week has felt as well. The boy and I knew that we had a ton to do to get ready for this weekend, just no idea how or when we were going to get it done. We had shopping that needed to get done for provisions and then things that I needed to make and lots of organizing and packing. I of course had my lists, so off to Super Target we went, got everything on the list and got it unpacked and such. Now today it is up to me to get us packed and organized, luckily the working at home thing will come in handy and my house is pretty tidy so that does not get in the way. So I will be baking these up this morning (those of you that know, know that I do not bake, so this is a leap for me), courtesy of Tres Posh Prep, some for tailgating, we have a Saints game tonight and some for the weekend, we will be heading up to the nether lands of MN tomorrow morning with the boys siblings and their families. If I had to be honest, I would have to say that I am not looking forward to this trip. I think it is just hard for me knowing what was said about me and such after our last time spent together. That coupled with the fact that this trip is completely unorganized in my book, it just gives me a very uncomfortable feeling. I have my list of course and have communicated back and forth with the boys sister regarding what we are bringing and such (we all have to bring our own breakfast items, lunch items, snacks, drinks and a side dish for dinners each night. . . .I had to ask what the main dish was of course, how am I supposed to know what to make to go with something when I don't even know what it is). There is limited space from what I understand, so I think that we are bringing three coolers, which just seems a little ridiculous to me that we need to bring that many coolers for two people for three days. We are still unsure of sleeping arrangements or how many the cabin even sleeps. Up until yesterday I did not even know WHERE we were going and I had heard travel times from 8 hours to 4 hours one way. Now I understand that the boy has not been there in 20 years, but this is all just good information to have. Here are the activities planned for the weekend, which I also got in an email, 4 wheeling (the boy and his brother are both bringing theirs up and his sister and her family have one plus a dirt bike or two) dirt biking, fishing and going to a bar and putting a dollar on the wall. I am sure once we get up there everything will be fine, it is just that none of this is really up my alley, that coupled with the fact that the lake is probably pretty cold so no swimming and I am with people that did not speak very kindly about me, well. . .it is not going to be an easy weekend to get through, but I also know that sometimes we need to just chin up and put our best foot forward. I am looking forward to a good night of tailgating prior to heading out on this trip, should be a good time! I hope that everyone has a fabulous weekend. The weather here is looking pretty good, I know that up North it will be a bit cooler, but I will just have to pack accordingly.